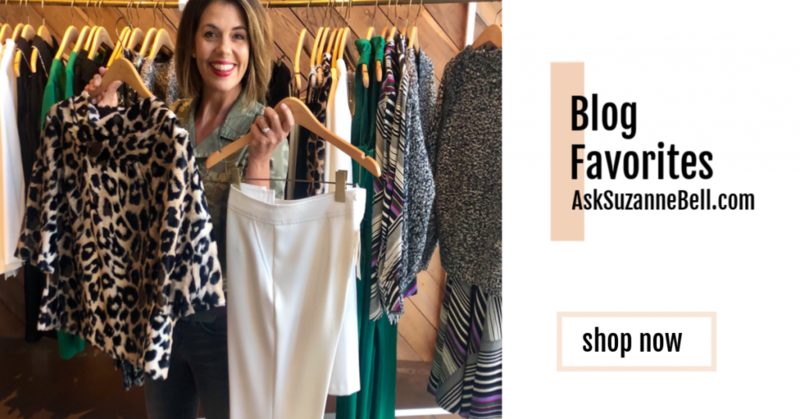 They hide the tummy and your shirt will stay properly tucked-in; how high will you take this season’s high waisted denim trend, and what high waisted jean style is best for your body type? 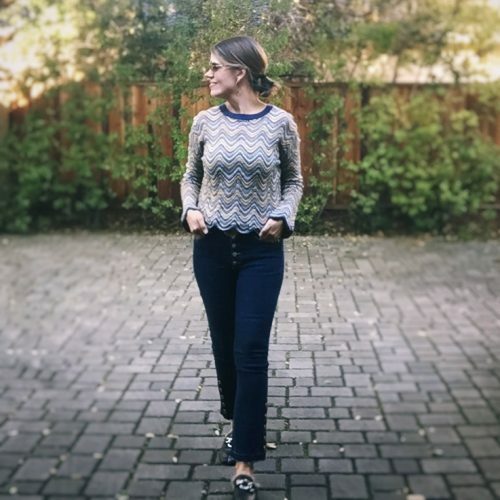 Low rise jeans have been my go-to for years, in part because I’ve struggled to find a pair of high-waist jeans that work well with my body type. I’m what you would call a banana shape; meaning my shoulders are about the same width as my hips, and I have only a very slight nip at the waist. 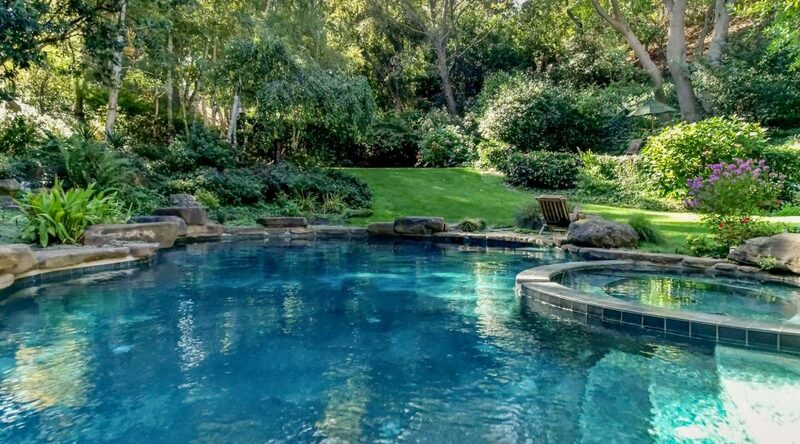 Think opposite the hourglass. Until recently, the high waist jeans I tried on were designed for an hourglass or pear shape. In other words, I couldn’t get them buttoned past the 1st button. Luckily, when a trend takes off, options-for-all become available – and now high-waist jeans are available on the market for every shape, at every price, with so many options it’ll make your head spin. After you take a browse through today’s post, I’d love to know what high waist jean you’ve discovered and what flatters YOUR body type. Drop us a line down below, we’d love to hear! A rise is the distance from the middle of the crotch seam to the top of the waistband. The usual range is between 7 inches to 12 inches; some even higher. Why is the rise important? Pant rise is important because it determines where your jeans sit on your body, which in turn creates your perceived waistline. What’s the best high waist style for me? Tips for styling high waisted jeans? Top tucked in or 1/2 tucked. Now this is not a requirement, but the idea is to show off your waist, so why not? Wear your top cropped, right a the belt. Longer jackets allow for proportion play. Short jackets can work, but keep your top tucked in. A baby flare 70’s cut will give you legs for days. Avoid boxy jackets and tops. You are trying to SHOW OFF your waist, not make it look wider. 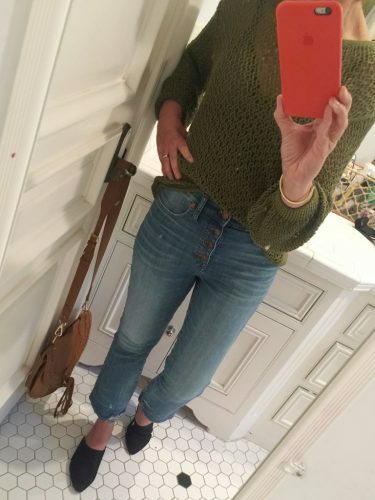 Avoid the mom jean look by getting the size and cut right for your body type. The Carolyn has a 10 3/4″ rise, a subtly flared cut made from Japanese stretch denim with quick recovery; in other words, these don’t really stretch out like other jeans I own. 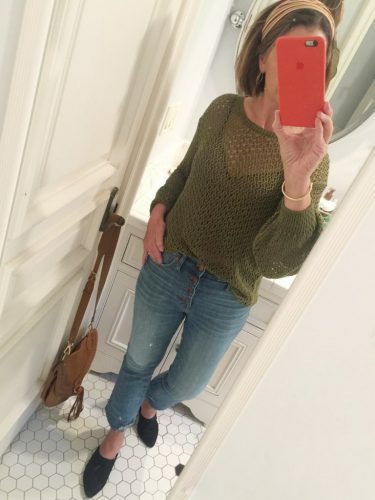 I invested in this pair last August, while on the hunt for a button fly high-waist jean, and this pair has turned out to be my most worn jean this year. This season, both the exposed button fly, as well as the high waist, can be found at all price points. 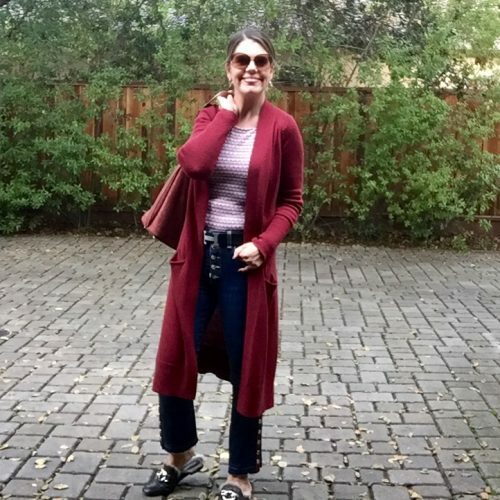 I’ve found higher than 10 3/4″ is not flattering or comfortable on my short-waisted body, so 10 3/4″ is as high as I will go. On sale now for $98.00, the Cali jean has a 9 1/2″ high-rise, button front, AND get this…an extra layer of holds-you-in sorcery in front, thanks to Madewell’s supersleek Magic Pockets. Now I can’t say feel or see these magic pockets, but this pair of jeans does seem to hug the body and I found them to be almost as comfortable as sweat pants. Also available without the button fly. Let’s take a look at how these jeans looked with a top tucked-in vs. untucked. Untucked is OK, but if you want to show off your waist – tuck it! NOTE: If you are on a mobile device, to view all 20 pairs, you will need to swipe left. 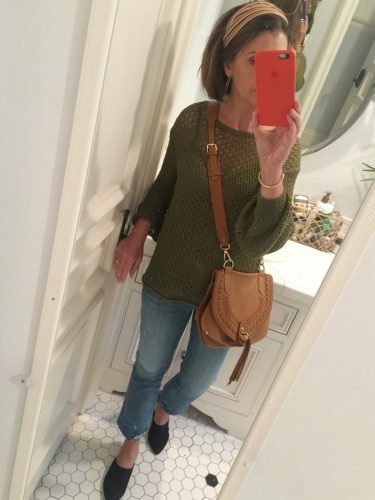 I’d love to know if you’ve tried or are thinking of trying out a high-waist jean. Have you found a silhouette or brand that flatters YOUR body type? Do tell! Drop us a line down below, we’d love to hear! You bet! I am happy you found them helpful. It took me a while to find my mate, so I figured why not share my journey?? LOVE the high waisted bootcut jeans!!! As a petite, these are perfect for my body and help to balance out my pear shape. No more muffin top. 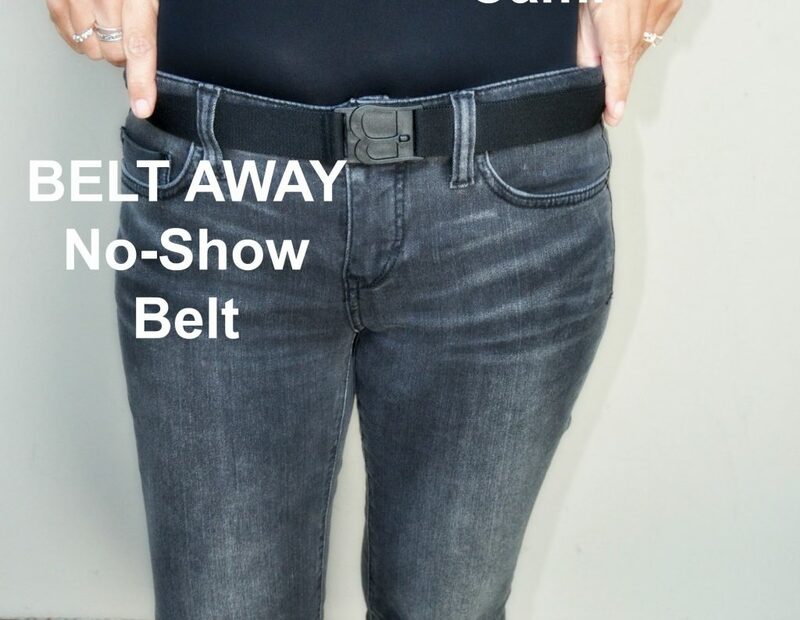 Many of the newer jeans have tummy panels which act as spanxs. Winning. YES YES to no muffin top! Why didn’t the fashion gods come up with this idea earlier? I’d love to know which pair you have found that you love!